Chiropractic Care and Back Pain: Here's How it can Help! At one point in time, we all experience back pain. For some, it was just exercising too hard or improperly lifting a box. These types of back pains are usually minor and the pain will subside with time and self-care. 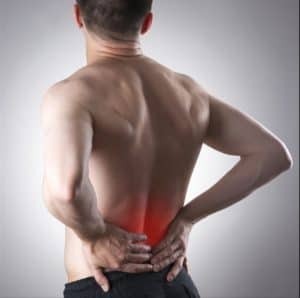 There are however, instances in which back pain is more serious and when medical care is needed. When suffering from back pain, most individuals head to their primary care physician. If this is your only option, this is fine. But, if you have the financial resources needed to pay for your own appointments or if chiropractic care is covered by your health insurance, head to a chiropractor. Why? Because at 3 Rivers Chiropractic, we specialize in treating back pain. Chiropractic care is the natural practice of medicine. It relies on manual therapy. This involves the use of the hands. Medical tools, such as sonograms, x-rays, or MRIs, may be used to diagnose a problem, but the hands only usually provide treatment. Popular procedures performed by chiropractors include therapeutic massages and chiropractic adjustments. This involves using precise force to thrust a joint back into place or to extend it past its current ability to move. How does treatment for back pain vary from traditional forms of health care? If you visit your primary care physician to seek pain relief, he or she will usually tell you to take an easy and prescribe pain medication. This only temporarily relieves the pain. Not all forms of back pain heal themselves. A slipped disk or another spinal or joint problem may be to blame. Pain pills and rest will not solve the problem, but 3 Rivers Chiropractic in Kennewick can. Chiropractors can manipulate the spine and the back to elevate pain and improve mobility. Does Chiropractic Care Automatically Mean Ongoing Care? No. Many people mistakenly believe that once you visit a chiropractor, you must continue going. Some chiropractors do recommend continued care, but not always. For example, if an adjustment or spinal manipulation is used, you may need to return for a small amount of therapy or just a follow-up appointment. During that appointment, your chiropractor will share ways to stop pain at home. This will include showing you how to properly lift boxes, sit at a computer and so forth. They may ask you to return in another six months to monitor the progress. How does one choose a chiropractor? You now know how to find chiropractors, but how do you choose one? If covered by health insurance, check with your provider. Some offer money-saving discounts to those who go with special in-network providers. If not, opt for a chiropractor who accepts your insurance. If uninsured, opt for the chiropractor with the most affordable rates or one who offers flexible payment plans. If you have questions about the types of insurance we accept, please do not hestitate to call at 509-596-1288. If you are suffering with back pain after a car accident, it is important to find a chiropractor who has experience dealing with the pain that usually results after an accident. Another important part is finding a Chiropractor like Dr. Vaughn, who has experience with the car insurance industry. Dr. Vaughn’s experience working with many different types of insurance is invaluable when it comes to you getting the treatment you need to improve your health and resolve your pain. In conclusion, if you suffer from back pain or discomfort, don’t suffer in silence any longer. Don’t just mask your symptoms. Recurring back pain is a sign that something is wrong. A licensed chiropractor can not only find the problem, but treat it with no surgery, non-invasive procedures, and with no medication.